What Does the Housing Market Look Like Near You? 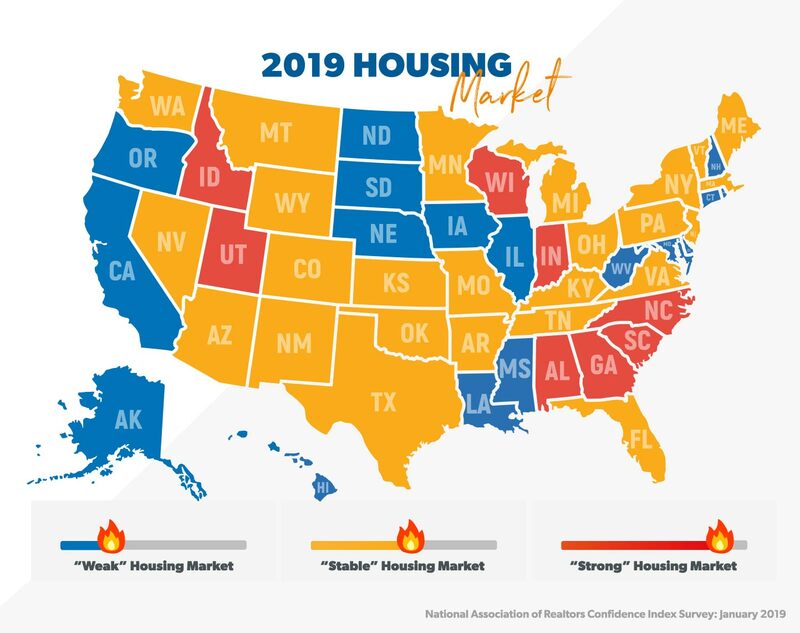 After a few sizzling years in the housing market, the burner has been turned down a bit overall for 2019. The seller's market in 2017 was so hot, you could have fried an egg on the sidewalk. And if you were a buyer, you were lucky to find one of those eggs. So, how confident can you feel about buying or selling a home in your area this year? Let’s take a closer look! It’s basically good news all around in the national housing market. It’s good for buyers because house prices aren’t going up at a steep rate they can’t keep up with. And it’s good for sellers because there’s a healthy group of buyers out there, looking to snap up a new home. As you can see, it’s still hot in at least eight states (get out those eggs! ), but things have shifted to stable in most of the rest of the country. That’s still not bad! Now, let’s get down to what we all want to know. Exactly How Fast Are Houses Selling in 2019? How long does it take to sell your home? 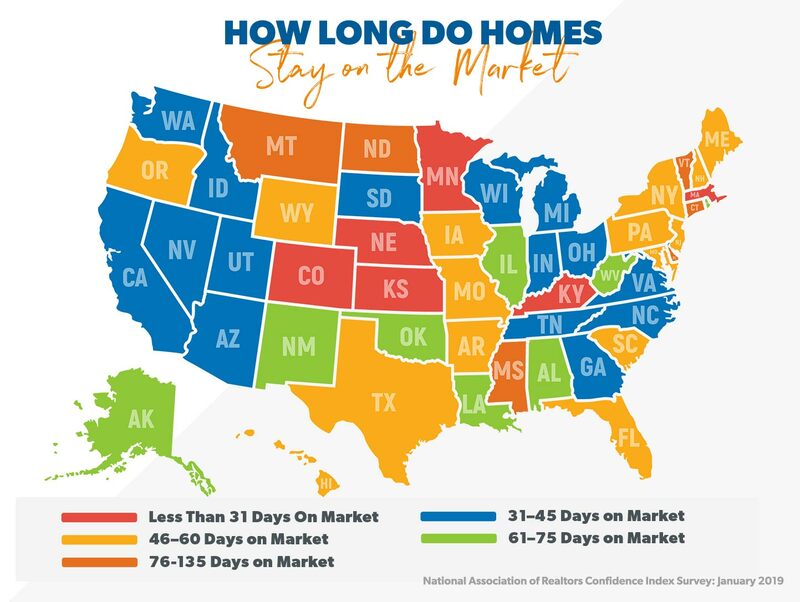 At the start of 2019, houses were typically on the market for 49 days. That’s one more week than the 42-day average in January 2018. Here’s a state-by-state breakdown so you can see how many days the typical home stayed on the market in your area in 2018. How Much Are House Prices Growing in 2019? The NAR expects the national median existing-home price to rise to around $266,800 in 2019. (3) That’s up 3.1% from 2018. Going into 2020, they predict another rise to about $274,000 in the median home price. So the idea of watching housing prices go through the roof, as in previous years, no longer applies. But prices will go up, just at a slower rate. And if you keep your home shipshape and in good condition, that’ll help even more! Thinking about putting it on the market? You can get up to speed right here with Dave’s Guide to Selling Your Home! The good news is the national index number is 101.9! And if you live in the South, the market is in great shape. Other regions' index levels are a bit lower, but they're still experiencing healthy house sales. So What Does This Mean If You’re Looking to Buy in 2019? There’s no time like the present. Income is rising faster than house prices, and if you put those together with low interest rates and a good supply of homes on the market, it’s good news for home buyers. The number of sellers out there isn’t as low has it has been in recent years—so, as a buyer, your choices won’t be as limited. And better yet, the prices of these homes are not predicted to go up as fast as in the past couple of years, which means there isn’t as big a risk of buyers being priced out of the market. 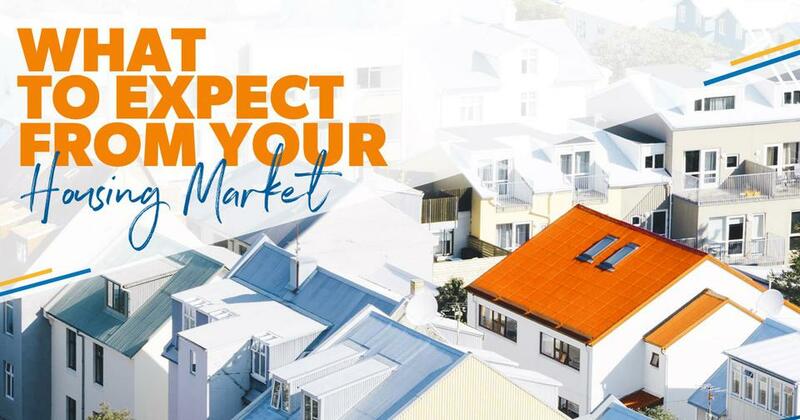 What Does This Mean If You’re Looking to Sell in 2019? Sellers out there can feel pretty good about 2019 because there are still a lot of buyers in the market. There might not be as many competing for each house as there were in 2017, so don’t expect wildly high offers on your home. But have a trusted realtor price it to compete in your local housing market and you should have no problem selling it this year! Ready to buy or sell a home? You need a local expert to help you make the most of your housing market. Get in touch with one of Dave’s Endorsed Local Providers (ELPs) in your area to speak to someone with excellent know-how in the real estate business. Your real estate ELP is a skilled negotiator who has your back. They can help you with all the details around buying or selling a home in your area. Our pros are highly responsive, focused on meeting your needs, and determined to super-serve you through the entire process. Do You Live in One of These Top Housing Markets? Take a look at some of our tips for buyers and sellers looking to capitalize on the continued real estate rebound. According to the National Association of Realtors (NAR), home prices are on the upswing thanks to increasing buyer demand and a shortage of available homes. In many markets, normal homes owned by normal people are selling just as quickly as the glamorous ones you see on HGTV. 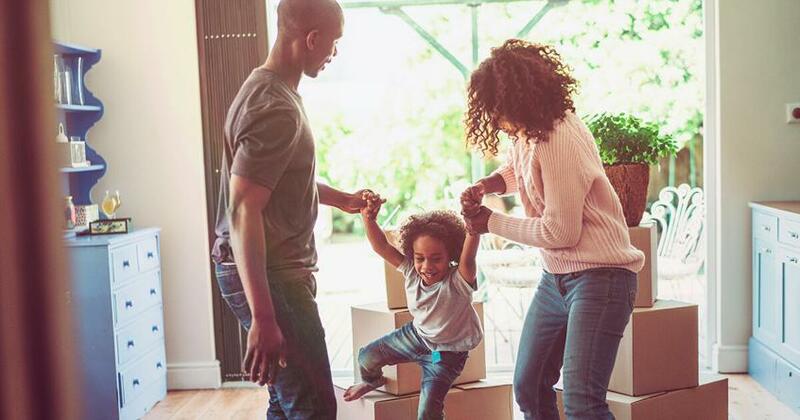 If the home you already own is standing between you and your dream home, this could be the year you bring your vision to life.